Last updated 14 March 2019 . By Talia Gilliham. 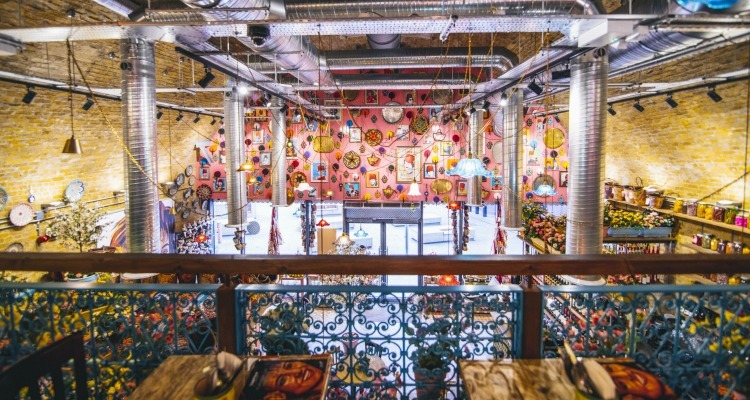 With a serious passion for Lebanese cooking and a hearty appetite for sharing that passion with the world, the founder of Comptoir Libanais has created a shrine to Lebanon in the form of his restaurant chain, and I was lucky enough to gorge at the arched, London Bridge site. As you step inside, the interiors instantly transport you to the Middle East. The space was open and exposed, with a counter of fresh ingredients made visible for customers to watch the chefs make up parts of their dishes, evoking the feel of a Lebanese street food market. As if that wasn’t enough to take you back to your gap year as a traveller, every inch (and I mean every inch) of this restaurant is decked out with trinkets and knickknacks; it makes sense, as the restaurant doubles up as a traditional souk, selling everything from Middle Eastern extracts, to handbags and homeware. Treasure trove is an understatement. After being dazzled by the intricate patterns, it was time to eat. The Cheese Samboussek (£5.50) was an obvious choice in my opinion; these little beauties were pastry parcels filled with a plentiful helping of melted halloumi and feta, perfectly paired with a zingy mint yoghurt. As for the Lamb Kibbeh (£6.25), which were dense and juicy mounds of minced meat, the flavour was lacking, but left redeemed by the second appearance of the yoghurt. Adding a pop of colour to the table, the Selection of Pickles (£2.95) were bright and refreshingly sharp, a great way to cut through the richness and grease from all that cheese and meat. Following the crunch was the Batata Hara (£3.95) for an understated grand finale; little golden gems of cubed potatoes, with a crisp exterior, fluffy insides and generously flavoured with a kick of coriander, garlic and chilli. For the all-round experience, I also went with the Mixed Grill (£14.50) for mains, which was a hearty, full dish of varied components. The lamb and two types of chicken were succulent, aromatic and ideally portioned, accompanied by a crispy salad and vermicelli rice which was salted to perfection. All of the food mingled effortlessly with a fruity bottle of Cintila White (£18.95), toning down the richness of the dishes with its soft hints of peach and ginger. 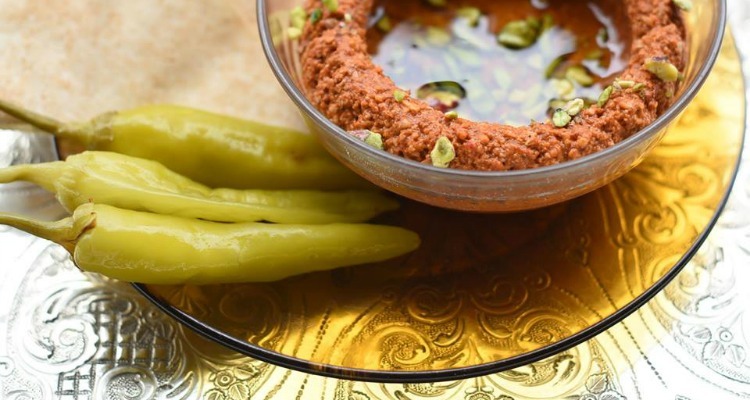 Comptoir Libanais actively promote the colour and authentic flavour of Lebanon. Bursting with character, Comptoir Libanais is a window into authentic Lebanese culture and the honest, rustic flavours that go along with it. The extra-friendly staff were quick to make recommendations and really embodied the care and deep-rooted heritage that this restaurant is built on. I left warmed by the comforting food and relaxed by the homely atmosphere; and even though your whole table will find themselves reaching over one another for a taste, the diversity of the menu is so vast that you won’t want your friends to miss out on trying any of its offerings (even if you’re the Joey of the group). DesignMyNight Marketing and PR Executive. I have a fear of octopuses, and an obsession with gin.